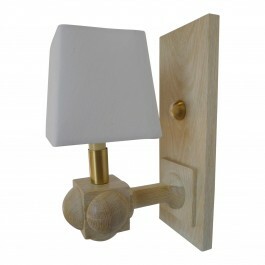 Foursquare Sconce shown in bleached oak, turned wood, linen shade and brass fittings. 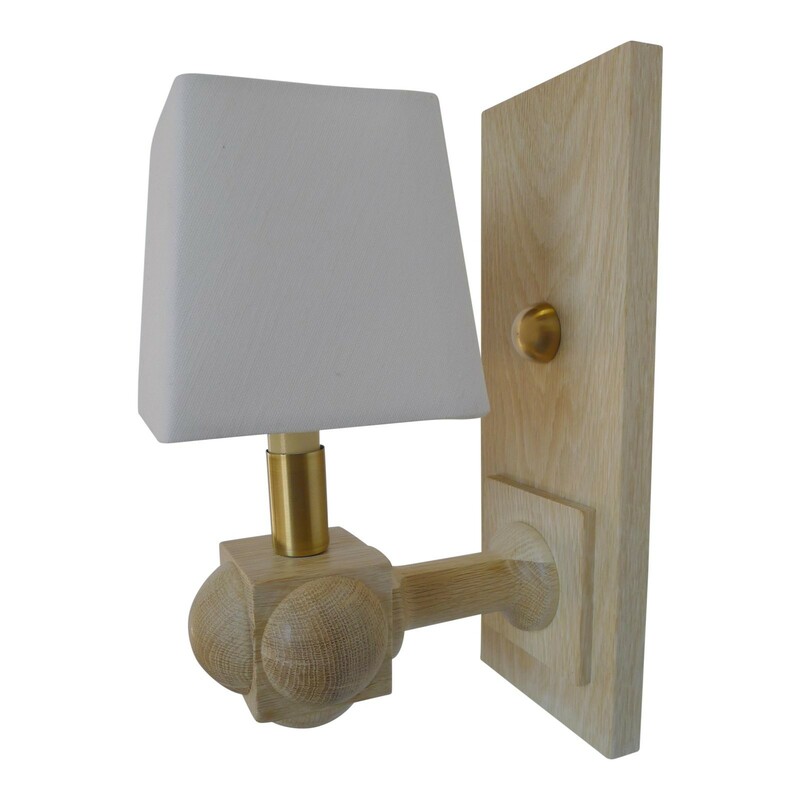 Wood Finish: Bleached oak or also available in natural red oak or bleached walnut (contact for photos). Due to materials and process the wood finish will vary throughout and will differ from order to order.